Bus services in Brighouse are being disrupted this morning after two cars crashed near Sainsbury's. 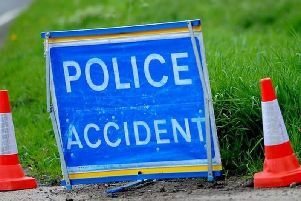 Emergency services were called to the scene shortly before 10.30am when a red Volkswagen Golf and a black Suzuki Swift collided on Huddersfield Road. Firefighters from Cleckheaton and Odsal stations freed two people who were trapped in one of the vehicles. A fire service spokesman said they had been taken to hospital by ambulance after being rescued. Police enquiries into the circumstances of the crash are continuing as work to clear the scene takes place. A spokesman said council teams had been called to clean up vehicle fluid spilled on the carriageway. West Yorkshire Metro has reported that the road remains closed following the accident. It said bus services are diverting via Ludenschied Link, Briggate and Mill Royd Street.